Nebraska announced an addition to the women’s basketball team on Friday as graduate transfer Kristian Hudson has joined the program for the 2018-19 season. Hudson is a 5-foot-5 guard who was a three-year starter and a 1,000-point scorer for Florida International. Last season, Hudson averaged 14.5 points, 4.5 rebounds and 4.7 assists while playing nearly 37 minutes per game for the Panthers. Florida International went 8-21 last season. Hudson joins a Nebraska backcourt that lost seniors Jasmine Cincore, Janay Morton and Emily Wood from a 21-11 team that made the NCAA Tournament last season. The Huskers return starting point guard Hannah Whitish for her junior season as wells as wings Taylor Kissinger (a sophomore), Nicea Eliely (a junior) and Grace Mitchell (a junior). Nebraska’s 2018 recruiting class included 5-foot-9 guard Sam Hairy from Moorhead, Minnesota, who was ranked inside the top-125 prospects nationally after scoring more than 2,000 points in her high school career. Hudson will likely offer depth to the backcourt and compete with Haiby for the back-up point guard job behind Whitish. Hudson shot 34 percent from 3 last season, a significant improvement from her first two seasons. However, she will have to cut down on turnovers (4.0 per game as a junior) to make a positive impact for the Huskers. Hudson’s addition wasn’t the only roster news announced on Friday. 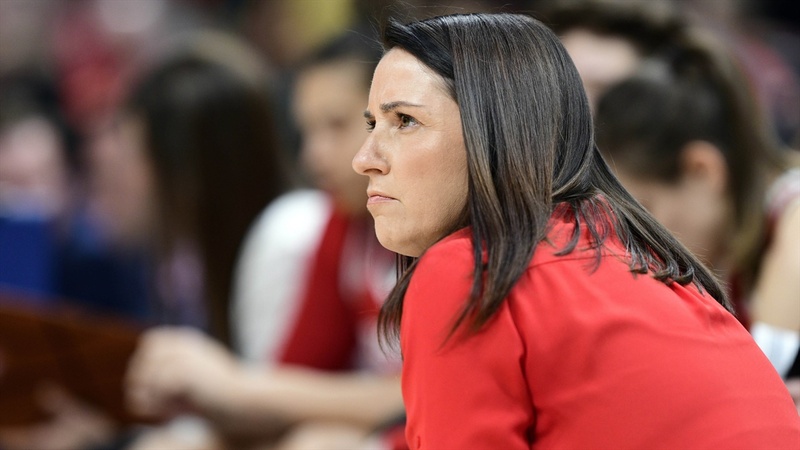 Coach Amy Williams also shared that three players — senior forward Darrien Washington, junior forward Rachel Blackburn and junior guard Bria Stallworth — have left the team but will remain on scholarship at the university this year. Blackburn has suffered from chronic knee pain since she was young, according to Williams, and she missed all of the 2015-16 season after undergoing surgery to address that knee pain. She averaged 1.5 points and 1.9 rebounds in 6.9 minutes per game off the bench in 29 games last season. Washington appeared in 30 games including one start for the Huskers last season, averaging 8.0 minutes, 1.3 points and 2.2 rebounds. Stall worth transferred to Nebraska from Massachusetts last season and was immediately eligible but struggled with efficiency, averaging just 3.5 points and 1.7 assists in 13.0 minutes per game for the Huskers while shooting 34.2 percent from the field and 31.4 percent from 3. Nebraska’s roster stands at 11 players for 2018-19.